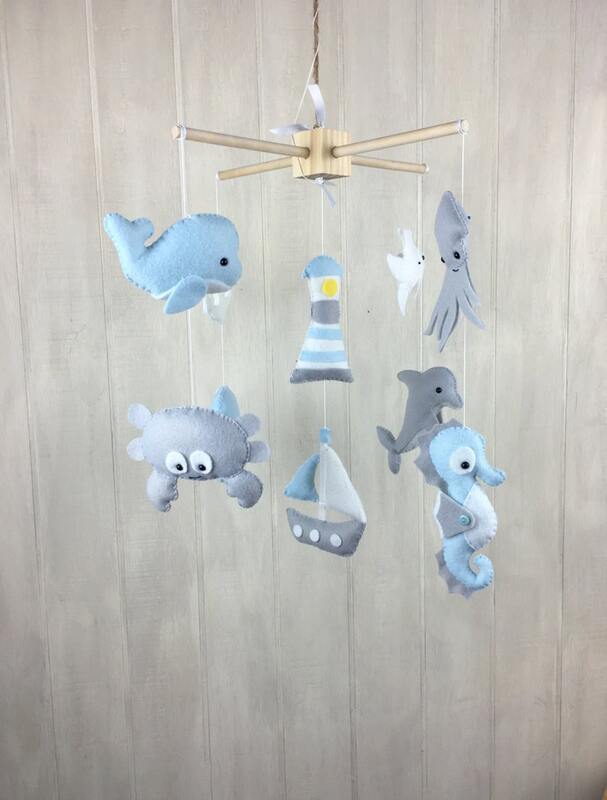 The wooden mobile has a hook on top and includes a long piece of jute so you can easily hang this from the ceiling with your own secured hook. Typical length is 42” from the top of the metal ceiling ring to the bottom of the lowest object. Please contact me if you need a more specific length. 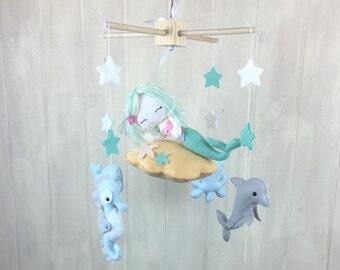 I do not sell crib arm attachments at this time. 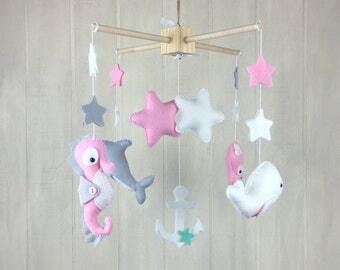 Every mobile comes standard for a ceiling hook with a 42" total mobile length. 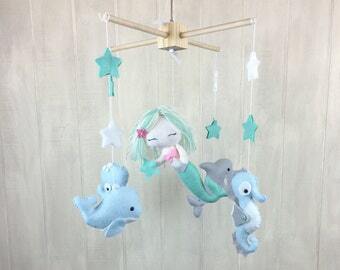 If you would like your mobile to hang from a crib, you will need to purchase one separately. If you need suggestions please contact me!